ATLANTA (January 17, 2017) - 2017 is just beginning, but 2016 was a year of firsts and major milestones for Georgia Aquarium. In the past year, more than 2.4 million guests visited Georgia Aquarium, beating the organization’s attendance records since 2007. Teams from Georgia Aquarium traveled to Cape Town, South Africa to assist the Southern African Foundation for the Conservation of Coastal Birds (SANCCOB) with rescue, rehabilitation, and release of seabirds during a peak stranding season. Georgia Aquarium researchers set out on whale shark research expeditions to St. Helena Island – the most remote island in the world – and the Galapagos Islands. 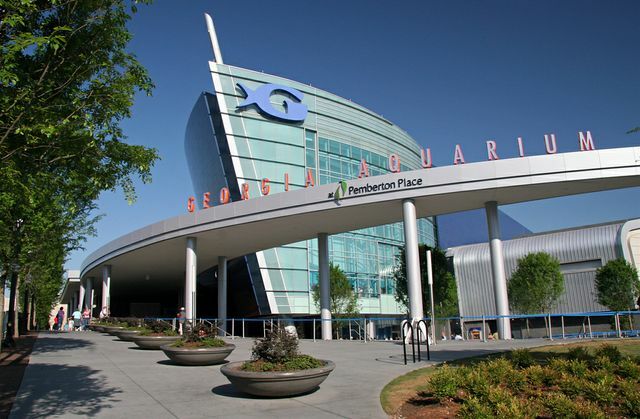 Georgia Aquarium was Certified Humane by the American Humane Association (AHA) and is one of the first five in the world to be certified with this distinction. Georgia Aquarium and Marineland Dolphin Adventure, in partnership with Pittsburgh Zoo & PPG Aquarium and Ripley’s Aquariums, committed to sand tiger shark reproduction research. After nine years of rehabilitation, T.J. the loggerhead sea turtle was released off Jekyll Island, Ga.
On March 31, 2016, SunTrust Pier 225 opened. We welcomed six rescued California sea lions in need of a forever home after stranding during an Unusual Mortality Event (UME). An all-new dolphin presentation, AT&T Dolphin Celebration, premiered on March 31, 2016. 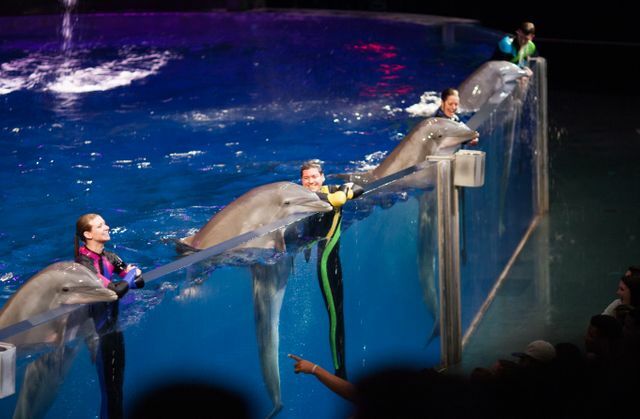 This educational presentation shows guests the beauty, grace, agility, and athleticism of bottlenose dolphins. The 4D Funbelievable Theater was renovated and re-opened in March. The new improvements included interactive seating and sensory enhancements like smells and sounds. New touch pools opened in early 2016, featuring several species of rays and sharks. Giving guests the opportunity to see African penguins up close, Georgia Aquarium’s Waddle Walk premiered in 2016. 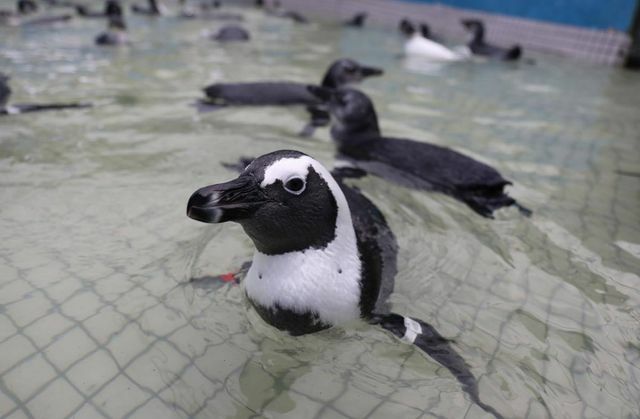 African penguins and their trainers engage in an enriching walk through the Aquarium’s atrium. In May of 2016, Georgia Aquarium welcomed its one millionth student educated since 2005. Since 2008, Georgia Aquarium’s Veterans Immersion Program has assisted in rehabilitation for more than 2,200 veteran and active duty military. The Georgia Senate commended Georgia Aquarium for ten great years in Atlanta and for being an economic driver and attraction to the city of Atlanta and the state of Georgia. Georgia Aquarium continues its amazing moments into 2017 with a variety of events, research and conservation expeditions, and so much more. To learn more or plan your visit please visit georgiaaquarium.org. Follow Georgia Aquarium on Facebook and Twitter to stay up-to-date and visit our newsroom at news.georgiaaquarium.org for all the latest news.